The Siamang (Symphalangus syndactylus) is the largest of all gibbon species and the only species in the genus Symphalangus. Significantly heavier and more muscular than other gibbons, wild male Siamangs weigh around 12 kg on average. They are found in Peninsula Malaysia and Sumatra, mostly in hill forests above 300 metres in elevation. 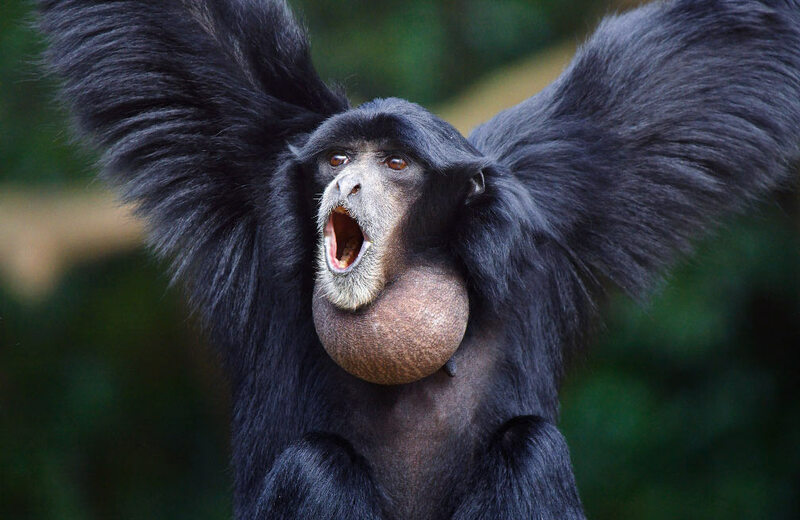 One of the unique characteristics of the Siamang is its large inflatable throat sac. The sac is inflated to amplify the deep booming calls, which can be heard up to three kilometres away. Duetting pairs combine these deep sounds with high-pitched barking notes and occasional bitonal screams. Unlike other gibbon species which often start singing at dawn, Siamangs tend to begin song bouts later in the morning with peak call activity between 9-10am. For more general information on gibbon song visit the White-handed Gibbon Sounds page. B13h A pair duetting at The Gap, Malaysia. B09h Another example of a pair duet – recorded in the montane forest of Bukit Fraser, Malaysia. B11h In this recording, Siamangs can be heard calling further in the distance. Recorded in Taman Negara National Park, Malaysia. 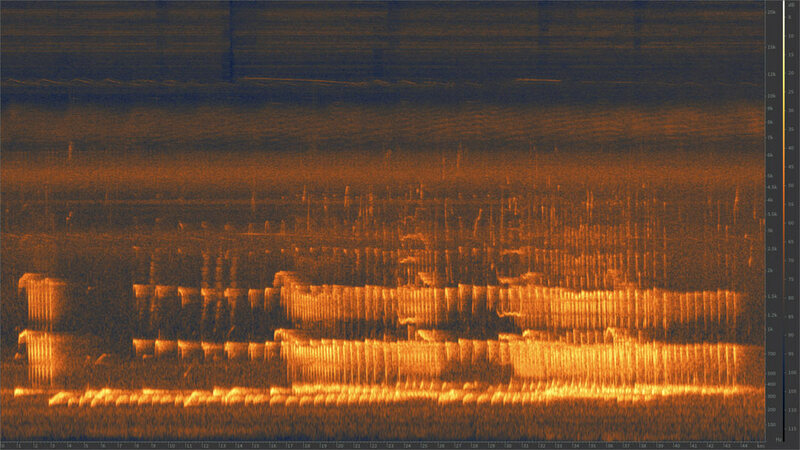 Spectrogram showing Siamang pair duetting with typical deep booms along with high-pitched barking notes and two examples of bitonal screams. 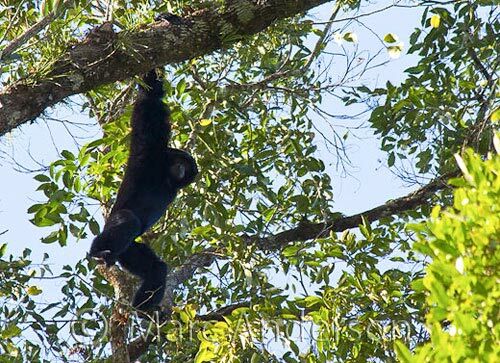 As a result of widespread deforestation and hunting throughout much of its range, Siamang populations are decreasing and are now considered endangered. Siamang (Symphalangus syndactylus) showing the large inflatable throat sac which amplifies the deep booming calls of this species.